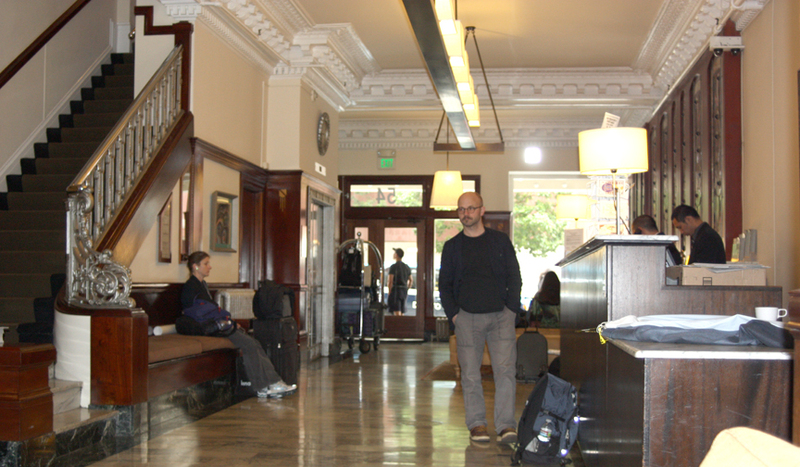 On the final day of the NSTA conference in San Francisco, I woke early and packed up, then went to find breakfast. I ran into Julie and Gary Taylor at the Hilton and we ate together at Mel’s Diner. Nancy Takashima (also of SSEP) joined us later. I then went to the last two sessions. All of today’s sessions were at the Moscone Center since the conference was winding down and only a few sessions were left. I wondered how many people would be left and felt a bit sorry for those sessions who’s fortune it was to be selected for Sunday morning, but actually the attendance was fairly good, since these sessions were the only thing going on (the dealer’s hall had closed the night before). The final session I attended was on digital storytelling through student video projects. The presenter (Roger Pence) gave some great rationale for using student-created video projects and also showed some of the handouts and other resources he uses with his students. He does this with sixth graders, and so the level of sophistication is lower, but they do research, write a script, record narration, and then chain images and videos into a final short project. Many of his tips will be useful for me as my students get deeper into creating their own videos next year. On the flight, I used Martin’s iPad to play a flight simulator game, but had to stop because I was getting a bit motion sick. 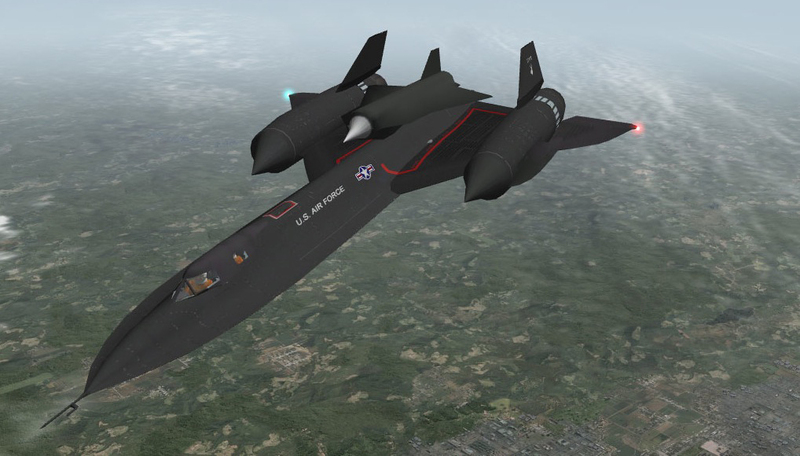 Apparently trying to fly an SR-71 while flying on a commercial jet is just too much for my inner ear. Now that I have the award money from Explore Mars, I plan on using part of it to purchase an iPad 2 over the summer and use it to both explore and create apps and eBooks. One course I hope to teach next year is on game development using the Apple SDK and have students create small games for the iPad that would be useful for chemistry teachers to use for review of units. I said goodbye to Martin at Salt Lake and my wife and kids picked me up. While waiting, I watched an episode of Star Trek: Enterprise on my MacBook Pro, which I had downloaded from iTunes. I remember a time when I taught with Mac Classics with 9 inch black and white monitors and dot matrix printers, and I was the only teacher at my school with any experience on computers. Times have changed – now we all must teach to digital natives who grew up with these tools. I am still amazed that I can sit in my classroom or a hotel room without any physical connections or books and find almost any information I need (including the two screen shots I’ve used in this post). I am literally pulling data and images out of thin air. It seems like magic to me. If I were to summarize my visit to San Francisco and what I got from it, I would have to say that I especially focused on programs to get my students involved in authentic science projects (such as MESDT, GAVRT, and the Mt. Pisgah stellar spectra project) and project-based learning; on new technologies such as the iPad and how it can be used in science education; and on ways of teaching chemistry and doing demonstrations and science night activities. I made good contacts, met interesting people, saw some old friends, and came home re-charged and excited to continue teaching. My last post had me still in San Francisco at the NSTA national conference. That was March. Now it’s May, and I don’t quite know what happened to April. Let me try to catch up on myself and this project. Back in San Francisco, I had just been awarded 3rd Place in the Mars Education Challenge by Bill Nye (yeah, that guy) and by the Explore Mars Foundation. That was on Thursday, March 10. On Friday, March 11 I attended a number of excellent presentations including one on an online student science project from Mt. Pisgah Observatory to classify stars based on their absorption spectra. Thousands of photographic plates with the stars’ light refracted into spectra have been digitized and made searchable. A spectrum from a star can be compared against standard spectra for major stellar classes and subclasses. I will incorporate this activity into my astronomy classes. My second session was to be over in the Moscone Center on how to use the iPad in science education, a subject I’ve talked about here before, but when I got there the room was packed and people were standing in the aisles and flowing into the hall. 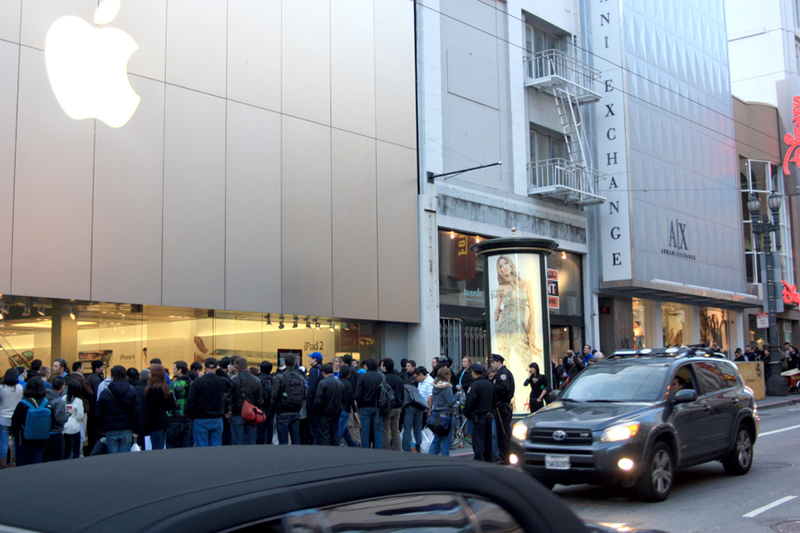 This isn’t too surprising – as I saw later that day at the nearby Apple Store, the lines were very long (all the way around the block) and Apple employees were handing out fruit (apples, of course, and oranges) and granola bars just so people wouldn’t pass out from lack of food for waiting so long. The reason: the iPad 2 came out that day. Instead of the iPad session, I went next door to a good session on project-based learning in the classroom, where a junior high in Lincoln Parish in Louisiana has created a program that is completely project based, yet covers all core curriculum. I found out more about it from the presenters afterward. I had planned on going to more sessions, but since I was in the Moscone Center it seemed a good time to check out the dealers exhibit. The exhibit hall is a huge, cavernous space with the big name companies jockeying for prime spaces by the main entrance and smaller companies along the aisles in the back corners. I was ostensibly looking for the Explore Mars booth, but I systematically covered the floor and visited anything that caught my eye, picking up a lot more materials to take home than I really wanted to. I was glad I left some space in my suitcase. I finally found the Explore Mars booth on the NSTA aisle (the competition was sponsored by NSTA) and I reported in to Artemis and Chris, who said that the first place winner had arrived and that we would have another small presentation later that afternoon. I went to lunch, finding a place about a block away called Mel’s Diner. As I sat down at a stool at the counter, the person sitting next to me turned to me and said, “Well, Dave, how are you?” It was Eric Brunsell, who now teaches at the University of Wisconsin at Oshkosh. I first got to know Eric through the NASA/JPL Solar System Educators Program (SSEP), the same group I had dinner with the night before. Eric was with Space Explorers, the group that managed the training sessions for SSEP. We had a good talk about what he’s been doing and on the problems currently being faced by teachers in Wisconsin, where the governor is trying to destroy the teachers union and cut teacher benefits and retirement. Back at the Moscone Center, I reported in at the booth and met Howard Lineberger, the first place winner. Andrew Hilt (2nd place) and Howard and I stood with Artemis and Chris and officials from NSTA for more photo ops, and were interviewed by Chris on camera on our feelings about Mars exploration. Chris and Artemis had to go to another reception, so they asked us to man the booth until the end of the day. Andrew and I talked to anyone who was interested about the competition and showed them our lesson plans. 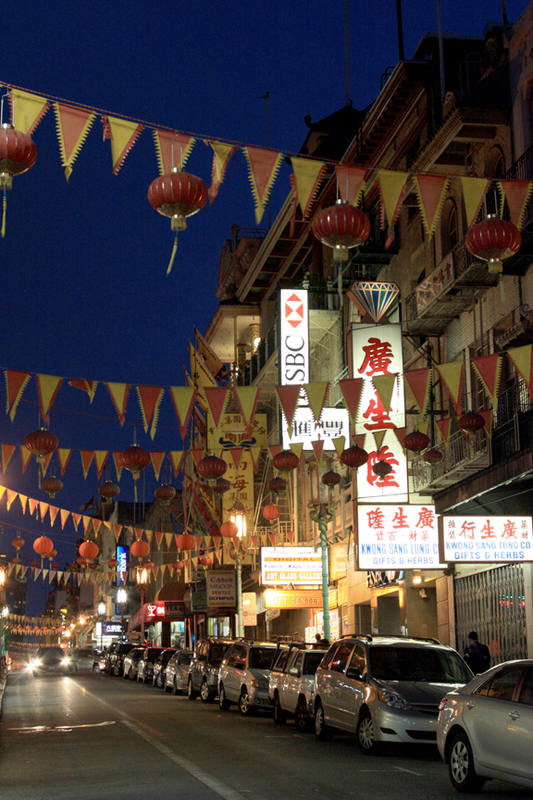 Afterward, we decided to walk up to Chinatown for supper. 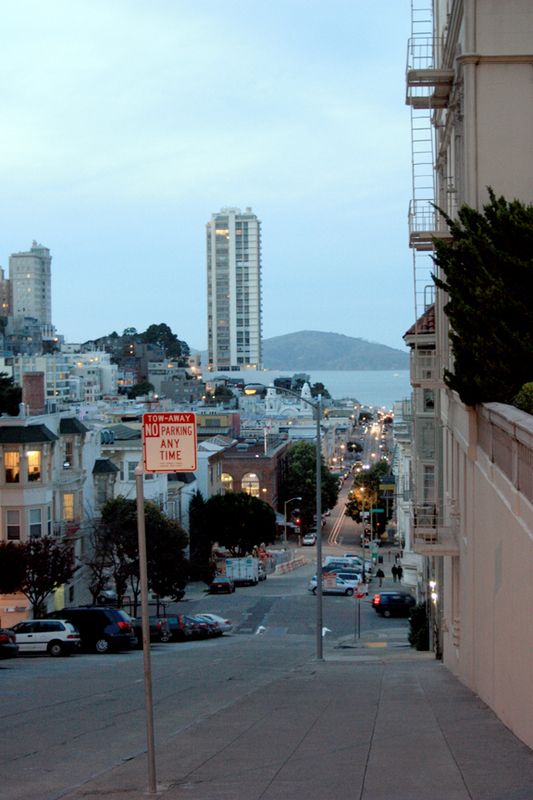 We headed to my hotel to drop off my stuff, then to Andrew’s hotel, then we walked up Nob Hill. We wound up going too high (it is quite a steep hill and we got a good leg stretching) and had to wander back down to the east into Chinatown. I found a really good Chinese bakery, where we sampled the yedz (coconut rolls) and I later bought a koushu binggan (kind of a graham cracker cookie). We found a promising SzeChwan restaurant and had supper. I found out the Andrew and Eric Brunsell are friends and have worked on common projects together. Small world! We also compared notes on our astronomy classes. We walked back down to where our hotels were, and I said goodbye (Andrew is heading home tomorrow). I found a good souvenir cable car ornament for my wife, then headed back to my hotel. 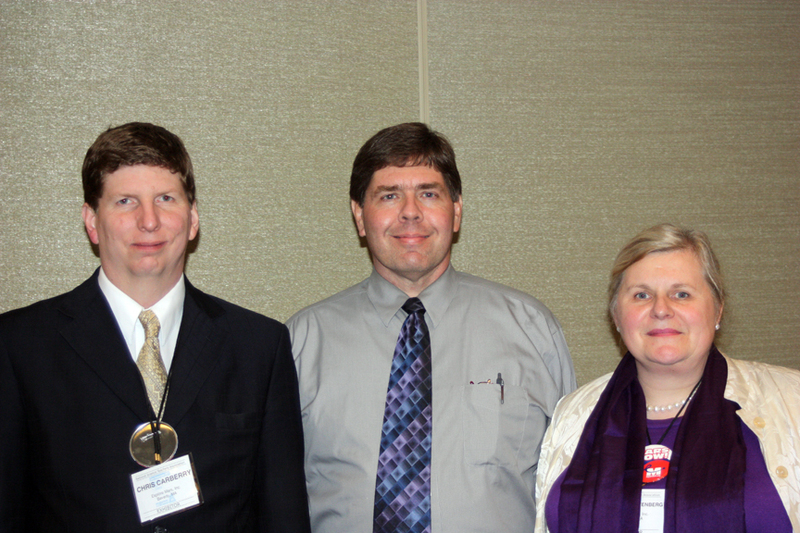 On Thursday, March 10, I experienced my first full day of the NSTA Annual Conference in San Francisco. It was a remarkable day for me, for several reasons. 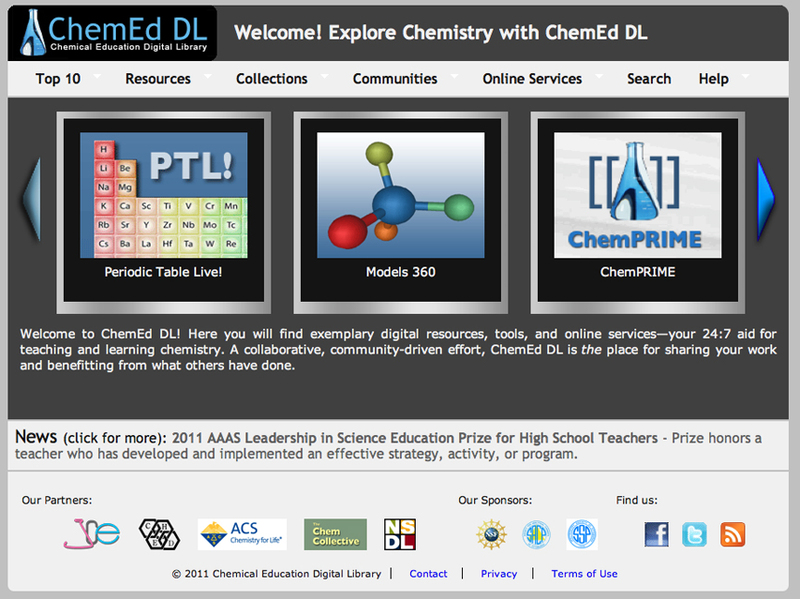 I attended some excellent sessions with ideas on how to improve my teaching of chemistry and integrate technology into my classroom, I presented a session on this project (The Elements Unearthed) and the Science Demonstration Program at Walden School, and I received an important honor from a well-known person. 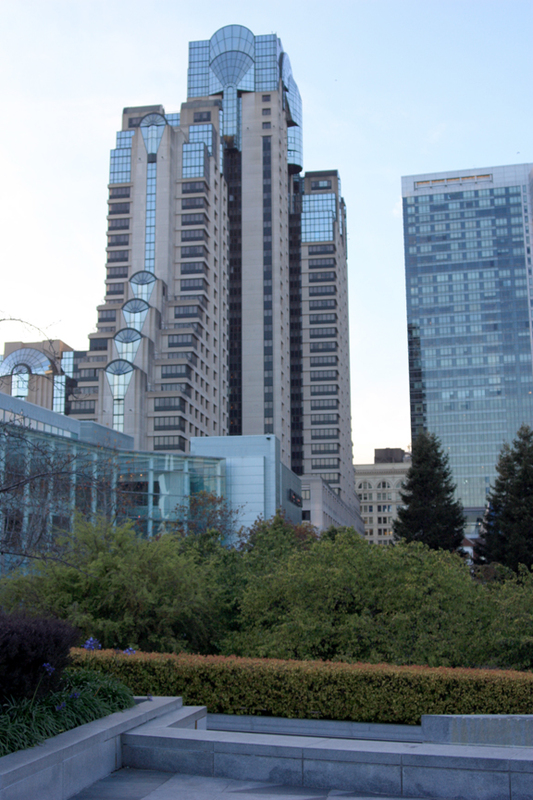 All of my sessions today were at the Marriott hotel, right across the road from the Mosser where I stayed. 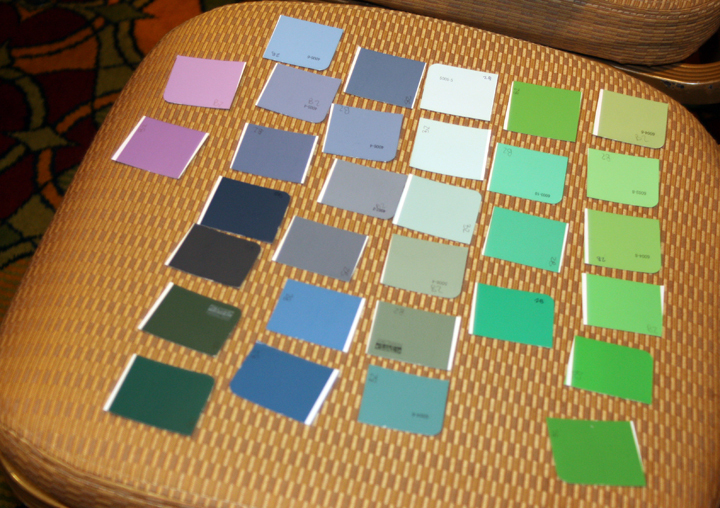 My first session taught me an easy to implement idea on how to introduce the periodic table and the idea of periodicity of the elements using paint swatches from a hardware store’s paint department. Students are given a variety of basic hues with variations in tint and shade and are asked to put them into a meaningful two-dimensional array. In educational parlance, we would say this type of activity is de-contextualized (that is, removed from the context or content of the lesson far enough that students can easily relate to it). The presenters (Jesse Wilcox and Scott Moore) went further to suggest how to do the next step: an alien periodic table with missing elements very similar to what I already do (more contextualized), before introducing the actual periodic table (full context). My second session was by D. J. West, a Senior National Science Consultant with McGraw-Hill, on good websites, sources, and ways to integrate Web 2.0 technologies into the classroom. He mentioned quite a few that I hadn’t heard of, and I now need to check them out and start using them. My third session was on ways to improve Back-to-School Science Nights, which we will be doing in May. Bruce Wear gave many ways of improving my planning and execution that I hadn’t thought of and which will come in handy. He presented about 25 steps and ideas, and he also showed some simple activities for physical science demonstrations that will be useful if I teach physics next year. After lunch, I attended a session by the folks at Google on how to use Google Earth, including many features such as how to access new layers of data that can be found freely on the Internet. They mentioned that when natural disasters strike, they try to act quickly to provide before and after imagery, such as images of New Orleans before and after Hurricane Katrina. Little did we know they would have need of such fast data updating just the very next morning. I loaned the presenter my MacBook Pro video dongle, and they promised to send me something (what I don’t know). The Google session was in the Pacific C room, which was where my presentation was to be held, so I stayed and prepared. I had finished creating some sample videos of my student’s presentations and of my visit last fall to Cripple Creek, Colorado. Here’s the Cripple Creek Video (which I will add to the downloads page along with the chem demo videos over the next few days). I knew my presentation would be pushing the hour limit, but I wanted to show recent progress. My title was “Sharing the Stories of Chemistry in Your Community Through Video.” Perhaps a bit esoteric, so I knew my audience would be fairly small. I also knew I was going up against Bill Nye the Science Guy, who was speaking as the Executive Director for the Planetary Society. Despite all this, my presentation went well; I had six people there by the end and one stayed after to talk more about what I was doing. I had been promoting my session rather shamelessly all day, and quite a few people expressed interest, but not many of them came. At least they have my e-mail and can contact me if they want information. Artemis Westenberg and Chris Carberry were there to make the awards. They began just one year ago, and one of their first projects was to create the Mars Education Challenge, where high school teachers create curricula and lesson plans that promote Mars exploration and science as part of regular classes. I had submitted several lesson plans at the end of January, and I was notified on March 2 that I had taken third place in the contest, which not only means a nice award check but some money toward my travel expenses to this conference. It was a very nice day when I got the e-mail saying I would receive this award (I did quite the dance of joy in my classroom)! 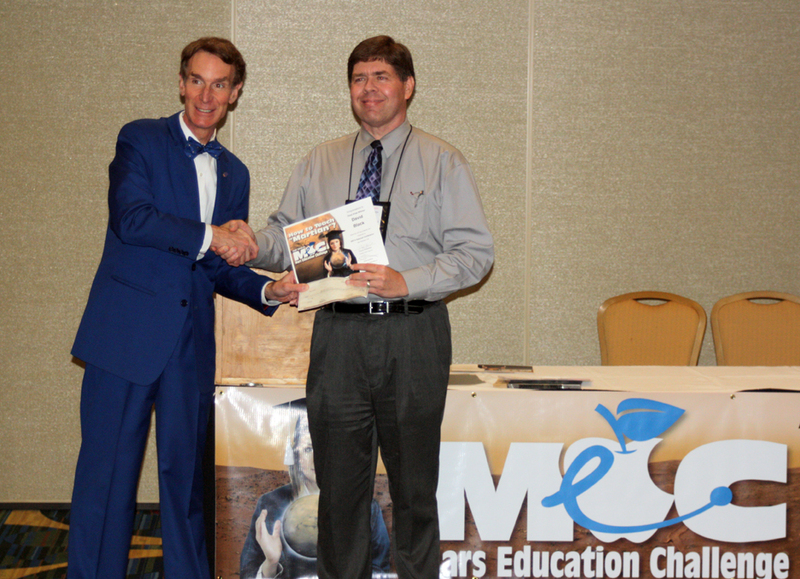 The second place winner, Andrew Hilt, and myself were there to receive our certificates and checks – handed to us by Bill Nye himself. So maybe Bill competed with me for attendees at my afternoon session, but he kind of made it up to me. Andrew and I both said a few words about why we were competing and how we decided to do this. Andrew is from Wisconsin and spoke about the controversy there where the governor is trying to eliminate the teachers’ union and cut back on salaries, benefits, and retirement in a misguided attempt to cut expenses by cutting back on education (which will only come back to haunt them). He mentioned how under-appreciated teachers are, and how hostile many people in Wisconsin are just because teachers ask for the same rights to collective bargaining that other workers have. I spoke on my visit to the launch conference for the Mars Odyssey probe, and how I watched the moon rise over the Atlantic Ocean, and decided then to dedicate myself to promoting Mars education, just as ExploreMars has done. I ran into several Solar System Educators during the day and Nancy Takashima invited me (or I invited myself . . .) to dinner at Buca de Beppo. I was a bit lake because of the reception, but had a chance to talk to Shannon McConnell from JPL, who is now the lead education director for the GAVRT (Goldstone Apple Valley Radio Telescope) program. Julie and Gary Taylor, Nancy, Martin Horejsi, Kay Ferrari, and others were there, and it was fun to get back together with them even though I am not active in the program any longer. But now I’m back in a high school setting, teaching science once again, maybe its time to get hooked back in. It was quite a busy and exhausting day. I learned much, shared much, was rewarded for my time and efforts, and met up with old friends. A great day! The last two weeks have been crazy busy as our third term has ended, our Intersession classes have begun, and I’ve prepared to travel to San Francisco for the National Science Teachers Association Conference. During Intersession our history teacher at Walden School (Eric) and I have put together a CSI class, coming up with a scenario, clues, evidence, witnesses, etc. On the first day, we trained the students what to expect and divided them into groups, including three students to be lead detectives. I also ran them through my old “Murder on the Carob Bean Queen” activity, where they must solve a paper mystery that requires group collaboration. On Tuesday we planted the evidence, including a very well made up dead body, multiple sets of footprints, and various physical clues. I even got some beef blood from the local supermarket and splattered it over the scene (getting quite a bit on myself – I was a bit overenthusiastic on how I smacked the container). While I was doing this, Eric had the students inside with a guest lecturer from the medical examiner’s office. She brought slides. I was glad to miss it. Then we took the students outside to the crime scene and had them collect the evidence. They did pretty well, except they only got two footprints cast, the rest of the prints either being ignored or obliterated as the team walked all over the scene. Wednesday we started cataloguing and analyzing the evidence, as witnesses started to come forward and the crime started shaping up. At the same time, I was busily getting my bags packed, last minute changes on the presentations ready (including quick videos of Cripple Creek and my students’ chemistry demonstrations), and all the details done that must be done. On Wednesday afternoon, I flew on a small Skywest Puddle Jumper from Salt Lake to SFO. I sat by a pre-teacher from Louisiana State, behind two other teachers, and they behind yet another teacher, all going to the conference. There must have been quite a few more on the same plane. We teachers are quite the gregarious bunch. The plane flight was uneventful, and in between chatting with the other teachers I watched an episode of Star Trek Enterprise on my laptop. There’s just something oddly fulfilling about watching Star Trek on a laptop computer while flying at 35,000 feet. We had a nice view of San Francisco and the Golden Gate Bridge from the air as we circled around to land. 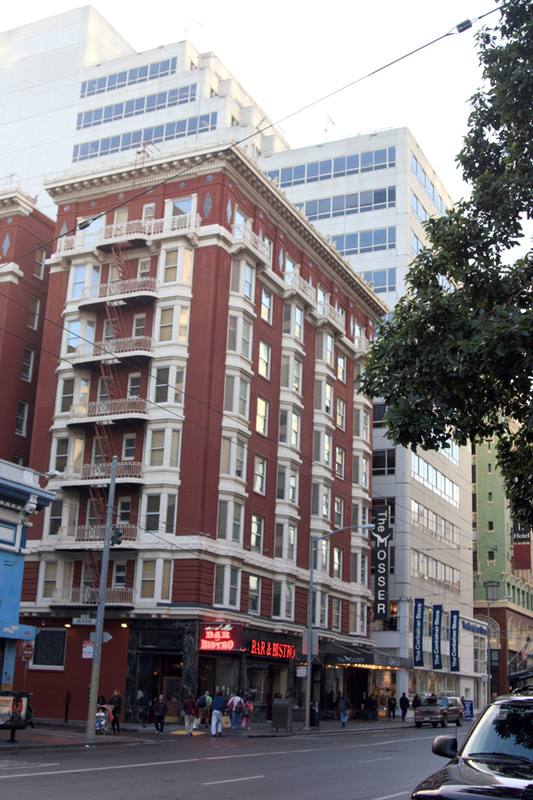 I rode into San Francisco on a SuperShuttle van with yet more teachers to the Mosser Hotel. I selected the Mosser because it is inexpensive (about $60 per night, which is really good for a San Fran hotel). The drawbacks are the tiny rooms and shared bathrooms, but the beds are comfortable and the hotel staff friendly. 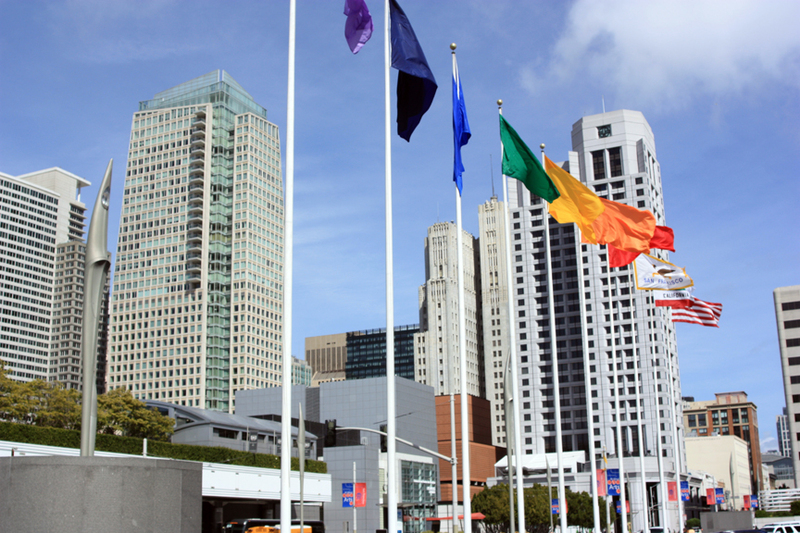 After settling in, I walked over to the Moscone Center and picked up my registration packet. I found a Mexican restaurant in the Metreon, and sat with a teacher named Matt who teaches in an ex-patriot school in Bangladesh. We had an interesting conversation about the challenges of teaching in a country with such severe poverty and population issues; he tried to paint a picture of just how terrible the traffic is, for instance, and how prone to disasters of every sort the country is. After dinner, I returned to the hotel and crashed. It was a long day, and tomorrow will be very eventful. I present the Elements Unearthed project, and I have a reception to go to where I’ll receive a “major award” (although not from France or in a box marked “Fragilé”). Just thought I’d end on a note of suspense . . . .